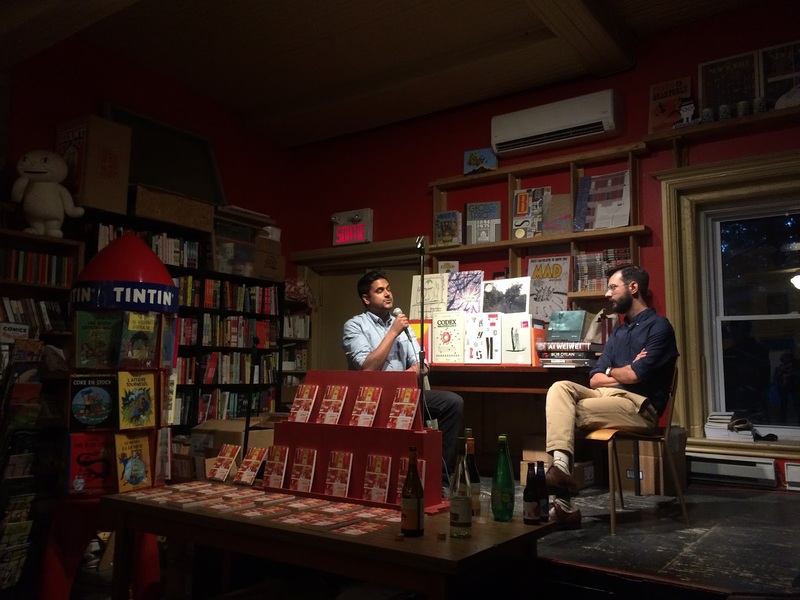 Back on Thursday, August 24th, we had the great pleasure of hosting Toronto-based novelist, book columnist, and cultural critic Naben Ruthnum for the launch of his new book, Curry: Eating, Reading, and Race, the latest entry in Coach House Press' Exploded Views series. The event was introduced by our own Saelan Twerdy, who recited Ruthnum's various achievements and honours: his short story, ''Cinema Rex,'' won the Journey Prize in 2012, he has been a book columnist for the National Post and written cultural criticism for The Globe and Mail, Hazlitt, and The Walrus, and his crime fiction has appeared in Ellery Queen's Mystery Magazine and Joyland. His pseudonym Nathan Ripley's first crime novel, Find You in the Dark, will appear in 2018. He also has a short story forthcoming in Granta. Afterwards, Naben and Saelan sat down for a lively conversation. Thanks to their long acquaintance, they had plenty of material for digging into the personal quality of Curry. 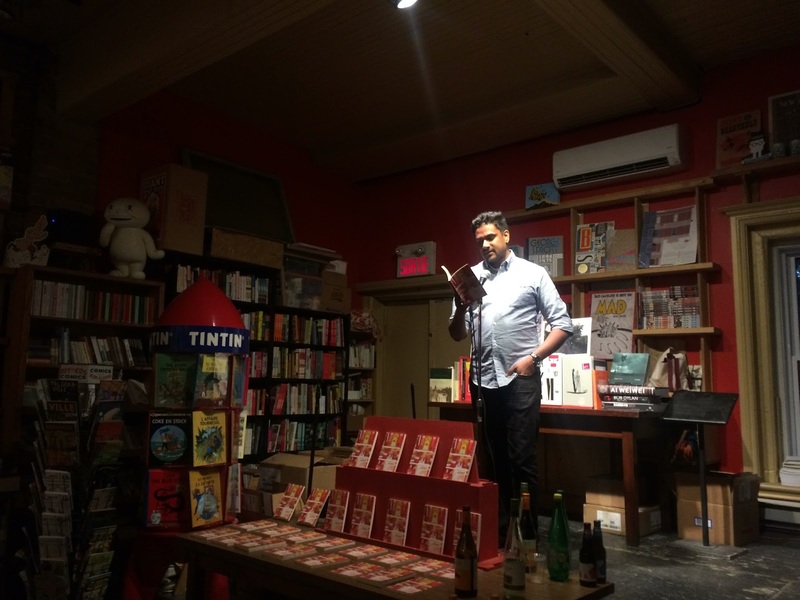 The book is, in a way, a manifesto for the kind of literature that Ruthnum wants to write and the kind of writer he wants to be, as well as a struggle with the expectations thrust upon writers like him -- ie., that South Asian diasporic writers will write what he calls ''currybooks.'' 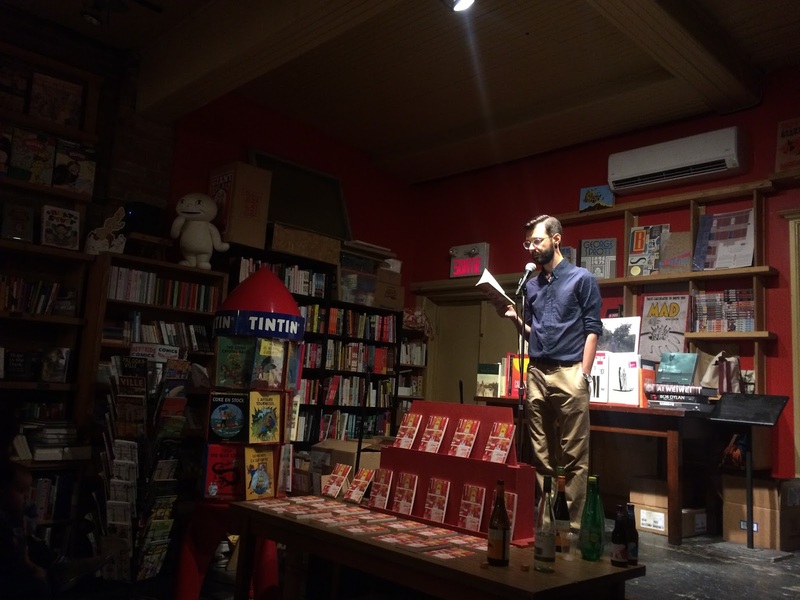 Writing Curry, for Ruthnum, entailed wrestling with why he doesn't want to produce currybooks at the same as he came to admit the actual value and function of books that fall into that category. Thanks again to everyone who came out! It was a great night.